Home Archive by category "Historical Interest"
An amazing video covering such unique aspects of ancient India. Not many people in India are aware that Western countries believes in concept of “Aryan Invasion Theory”. 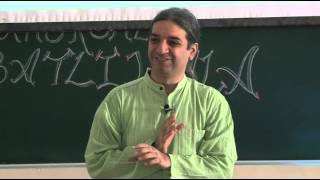 This video provides the scientific verification of Vedic Knowledge and originality of those. Very innovative method of preserving the Indian Ancient Knowledge. – Aryabhatta giving Cryptographic patterns. BBC Documentary on "What The Ancient Indians Did For The World"